As you may well have seen last week, four North East locations are among the 66 loss-making HMV stores that will close within the next couple of months, following an announcement by the firm’s administrator Deloitte. The North East stores slated for closure are at Durham, South Shields, Stockton-on-Tees and Teesside Shopping Park, while in the Midlands, the branch in my old home town of Tamworth is also set for the chop. For the staff at those stores it’s clearly desperate news, though it’s not, sadly, especially surprising: if HMV is to survive in some form, most commentators agree that it will need to downsize from its current estate of over 200 shops, a significant chunk of which are small and in relatively weak locations. 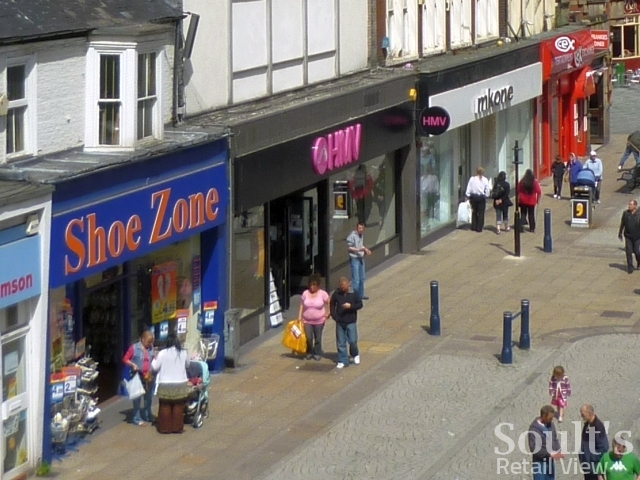 Certainly, looking at the 66 stores, many of them are indeed compact branches in smaller towns, often opened comparatively recently: Teesside Park, for example, is one of the ex-Zavvi shops that HMV acquired in 2009, while South Shields and Durham only opened in the mid-2000s. 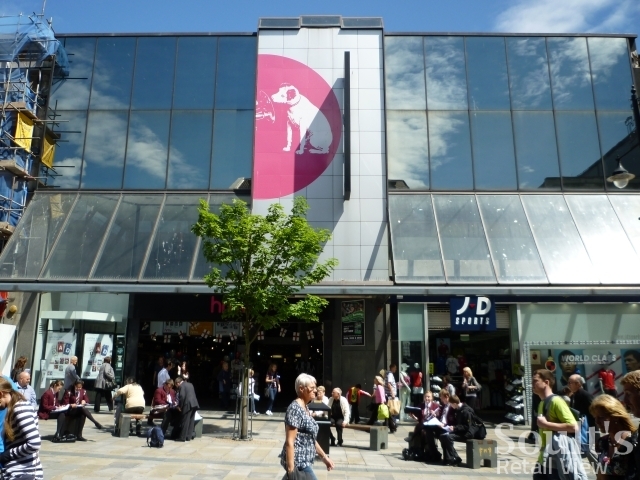 In contrast, most of the larger and long-established flagships – such as those in Newcastle, Sunderland, Metrocentre or Middlesbrough – remain safe for now, though a seemingly out-of-favour Edinburgh is set to lose all five HMV stores in the city, including its store in Princes Street. The Fopp branch in Rose Street – which is owned by HMV – will remain open, however. In hindsight, the merits of continuing to grow the store estate until so recently – hitting the 200 mark only in 2005, and a peak approaching 300 in 2010 – does seem unwise. It’s clear, however, that HMV underestimated the pace at which music buying would migrate online, and its own capacity to tap into that market. 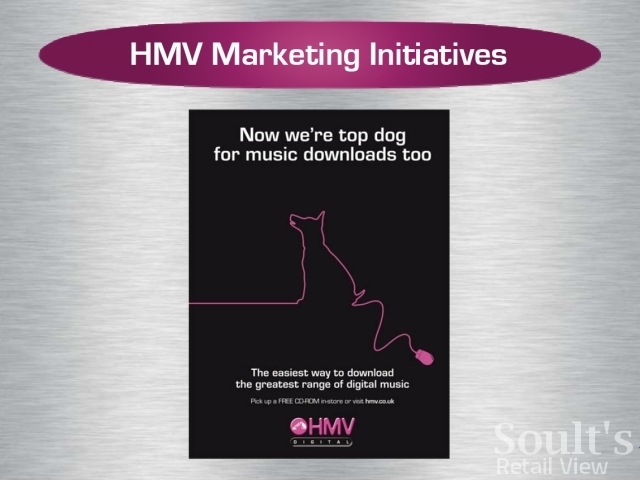 For example, a 2005 investor presentation from HMV forecast that digital would account for 13% of the UK music market by 2010, when, in reality, it ended up being around 20%. 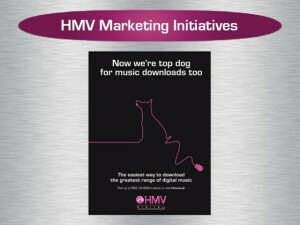 Similarly, despite the optimism back then that “the combination of HMV’s impressive specialist music knowledge with digital delivery will make this [HMV Digital] a very compelling customer destination”, denting the market share of established download stores like iTunes and Amazon has proved a tall order. At the same time, however, HMV has been slow in giving its physical stores the excitement and wow factor that they need in order to compete in a multichannel age, perhaps failing to fully embrace and exploit its staff’s obvious passion for music and entertainment. Nevertheless, however predictable or necessary they might be, the closures announced last week will leave more unwelcome gaps in many high streets. While some locations, such as Durham’s Prince Bishops, retain high levels of occupancy and are likely to attract new tenants fairly readily, the closures in places like South Shields, Stockton and Tamworth will compound the vacancy problems in places that are already looking distinctly threadbare in parts. Tamworth’s Ankerside Shopping Centre, for example – which I revisited a week ago – retains some decent names, but currently has more empty units or temporary shops that I can ever remember, despite managing to keep its Peacocks and Clintons stores last year. 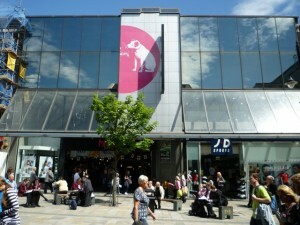 Losing HMV – which filled the hole left when WHSmith decamped to the out-of-town retail park – will barely help. On the positive side, Deloitte’s expectation that the 66 loss-making stores will close over the next one or two months suggests that there’s no immediate prospect of a Woolies-style shutdown of the entire chain. Having acquired HMV’s debt three weeks ago, it must be hoped that the restructuring specialist Hilco has some plan for buying the business itself out of administration, though there’s been no firm indication to date of when, or even if, that will happen. As I’ve argued before, however, a strategy based around destination stores in flagship locations makes more sense than many little ones, and these closures – however difficult – represent a move towards that. My retail consultancy business, CannyInsights.com, provides bespoke place- and sector-specific market intelligence, including coverage of entertainment retail. It also works with retailers nationwide to improve their stores, customer communications and market knowledge. For more information, visit www.cannyinsights.com, drop me an email, or give me a call on (0191) 461 0361. Great to see your analysis of HMV’s failures, Graham. I have to agree with most of your points – still not convinced that customer service was ever their thing though; “music lovers” or not, most of those I’ve experienced were closer to ‘Clerks’s. Virgin did a much better job (as they pride themselves on doing) of channelling enthusiasm in to customer service itself. Even in the (massive) Nottingham Megastore which became an HMV, I noticed a tangible difference in customer service after the transition. Staff in such a store should surely have been beaming with enthusiasm given the relative peril they faced. Can’t help but think HMV just didn’t really care in the same way Virgin did. I think there has to be another round of closures still, and perhaps that one will hurt more. I think most small town centres will bite the dust – even cities like Sheffield will probably have to loose their presence too. London and elsewhere where there are 2 or more sites within walking distance will have to go, as in Edinburgh (although I could see places like Nottingham losing their oddly placed Fopp instead). One good store within reasonable reach is the strategy I can see working best.